Dr. John Kipkoech Bore joined TRFK as a Horticulturist in August 1993 and currently holds the post of Acting Institute Director of Tea Research Institute. Previously, he worked as an Assistant Agricultural Officer, Ministry of Agriculture in Tana River District and later at the Kenya Agricultural Research Institute (KARI) as a Research Officer where he worked on improvement and management of temperate fruit trees. As a Horticulturist at TRFK, John has initiated many field trials on tea management and physiological responses. He has over 17 years of experience in tea management. He has a broad range of interests on tea environmental responses for enhanced sustainable tea productivity in Kenya. He has published widely and has attended a number of workshops on crop management. He holds a Diploma, Horticulture (Egerton); BSc, Agric. (Dalhousie, Canada); MSc, Hort. (Egerton) and PhD, Hort. (Jomo Kenyatta University of Agriculture and Technology, Kenya). Dr. Samson Machohi Kamunya joined TRFK as Plant Breeder in January 2003. He previously worked as an Environmental Manager at the JKIA majoring on the improvement of the landscape gardening of the airport. Currently, Dr. S.M. Kamunya is the Ag. Centre Director as well as Programme Leader, Crop Improvement and Management (CIM) Programme. Prior to joining JKIA, he worked as Scientific Officer with the Centre for Agriculture Biosciences International (CABI), Africa Regional Office, on biocontrol of conifer aphids and integrated control of Leucaena psyllid. He has developed over 1000 new tea clones, which are in different stages of evaluation. He has also initiated participatory clonal field trials in farmers’ fields in various Counties and to date released four improved tea varieties for commercial utilization into diversified tea products. He has over 17 years of experience in plant breeding, with an emphasis on tea improvement. He has broad range of interest on development and integration of molecular markers in marked-assisted breeding/clonal selection, diversity studies and DNA fingerprinting for protection of plant varieties aimed at accelerated development of improved cultivars for sustainable agricultural productivity in Kenya. He holds BSc (Forestry), M.Phil (Forest Genetics), Moi University and D.Phil (Plant Breeding), Egerton University. He has also acquired further training in Design of Plant Breeding Programmes, Use of Molecular Markers in Plant Breeding, Integrated Quality Management, Participatory Approaches in Genetic Resources Management and Advanced Approaches to Participatory Crop Improvement at the International Agricultural Centre, Wageningen, The Netherlandswith the support of The Netherlands Fellowships Programme (NUFFIC). He undertook his PhD thesis research at the Institute of Himalayan Bioresource Technology (IHBT), Palampur, and Himachal Pradesh, India after winning an award of Fellowship for Postgraduate Studies as governed by Council of Scientific and Industrial Research (CSIR) and Third World Academies of Science (TWAS). He has published widely and participated in many workshops and conferences. He is an active member of the Plant Breeders Association of Kenya (PBAK), East, Central and Southern Africa Pest Management Network and Professional Trainers Association of Kenya (PTAK). Dr. Richard Chalo studied Botany and Plant Breeding at the University of Nairobi and at Egerton University, Njoro. He did his PhD work at the Council of Scientific and Industrial Research-Institute of Himalayan Bioresource Technology, Palampur and received his Doctorate in Plant Biotechnology in 2013 from Panjab University, Chandigarh, India. 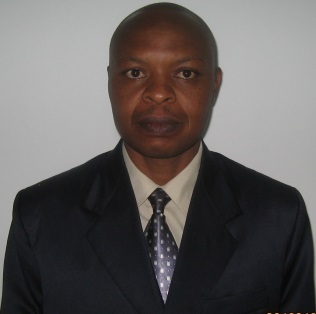 He was recruited by the Tea Research Foundation of Kenya as an Assistant Research Officer in 2000. In 2007, he was appointed as Senior Research Officer, Geneticist and as Principle Research Officer in 2014. The main focus of his research is to apply molecular tools to develop climate compatible tea cultivars with improve yields, quality and suitability for product diversification. Another emphasis of his work is to bioprospect for genes/enzymes as well as understand the gene regulatory networks controlling major physiological and metabolic processes in tea adaptation. James Kipkemoi Langatjoined Tea Research Foundation of Kenya (TRFK) in 2010 as a Principal Human Resource Management Officer. He previously worked as a Human Resource Manager at Van Den Berg, Naivasha, Human Resource Manager, Waridi Ltd, Athi River and Personnel Manager; Agricultural Development Corporation (ADC). James holds an MA Degree in Manpower studies from London Management Centre, Polytechnic of Central London, United Kingdom (Present day University of Westminster) and Bachelor of Arts from University of Nairobi. He has experience of 28 years in the field of Human Resource Management.